The Supreme Court on Tuesday agreed to consider a dispute over how a state may tax the income that its residents earn in another state. 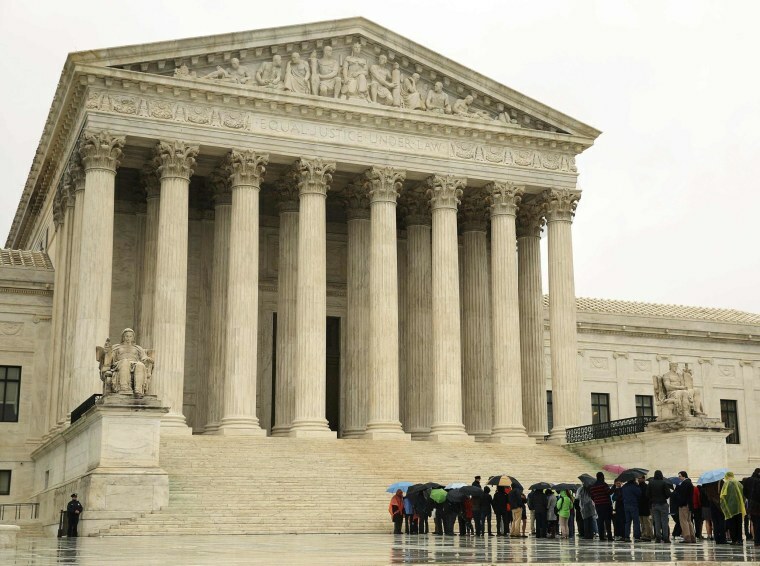 In a case that could affect how taxes are collected in every state, the justices will hear an appeal from Maryland officials who want to overturn a lower court ruling that found the state's tax law unconstitutional. Maryland law allows residents to deduct income taxes paid to other states from their Maryland state tax. But it does not apply that deduction when it comes to a local "piggyback tax" the state collects for counties and some city governments. Last year, the Maryland Court of Appeals said the tax violates the Constitution's Commerce Clause. The court said the law discourages Maryland residents from earning money outside the state. Maryland Attorney General Douglas Gansler says the state has authority to tax all income of its residents, even income earned outside the state. He said the Court of Appeals' decision could cost local governments $45 million to $50 million annually and warned that Maryland might have to refund up to $120 million in taxes. The Obama administration has sided with Maryland, arguing that states have long had the authority to tax the entire income of residents no matter where the income is earned. While states may choose to grant tax credits to residents for taxes paid in other states, the administration asserts that nothing in the Commerce Clause requires a state to offer those credits or otherwise defer to another state when it comes to taxing its residents. In a brief to the high court, the administration says the issue has consequences for other states that have similar tax schemes. The Maryland Court of Appeals decision conflicts with tax rulings issued by the highest courts in several other states.